Running a small business can be a challenging enterprise, requiring a significant amount of time, effort, and know-how to turn a profit. Without the large amounts of capital that most larger companies possess, smaller businesses do not have the luxury of trial and error and must instead maintain a tight financial model, with a strict budget and limited spending. In order to keep your business from going under, consider the following finance tips for small businesses that can help owners keep their business debt-free and financially sound. First and foremost, small businesses absolutely must adhere to a strategic budget in order to succeed. This will essentially consider all expenses against expected income and allows businesses to gauge their financial standing at any given point. Additionally, a budget allows a business to set realistic goals, creating the motivation to achieve these figures. A proper budget should include four categories: prospective income, fixed costs, variable costs, and employee pay. With expenses sorted into these groups, small business owners can determine whether costs should be cut in a particular area. Essentially, a well-conceived budget should help to distinguish between necessary costs and unnecessary spending. When your company turns a profit and begins to see a steady cash flow, you should be conscious of where your surplus profits end up. Ideally, profits should not be spent but rather invested in areas that will lead to long-term profits and success. Too many small businesses treat these funds as a kind of bonus for the short-term and miss many opportunities to reinvest this capital, which would reinforce the strength of their enterprise. While investments generally involve some degree of risk, savvy owners can weigh the costs against the benefits and turn a small profit into a significant gain. As previously mentioned, small business do not typically possess a large amount of funds to draw from and thus every costs must be considered carefully to make a net gain. One particular cost that small businesses should consider is insurance; depending on the size and structure of your business, as well as the industry, insurance may not be as necessary as most would think. To determine whether your small business needs to pay insurance fees, consider the potential liabilities presented by your workplace, your industry, and your products. If you operate your small business from your home and pay homeowner’s insurance, you will not need to pay insurance to cover any potential losses to your business’ property. Similarly, if your business offers products or services within an industry that are not likely to result in any sort of litigation, regardless of performance, you can forego paying expensive insurance premiums. Essentially, business owners must size up all risks and potential costs to assess whether insurance is necessary. In some cases, businesses simply cannot continue to operate. Whether the budget was exceeded or sales took a considerable hit, business owners must know when to quit before the business’ debt becomes unmanageable. Depending on the nature of your business, your best options will probably be to close the business and repay outstanding debts or to sell off the business. While the latter option is more favorable, finding a buyer for your business can be challenging, and if your business is not performing well, buyers may not offer a large amount in the transaction. 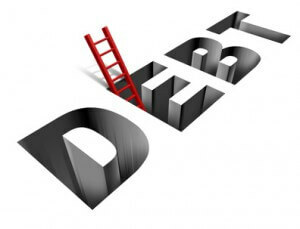 Business owners who are personally responsible for their business’ debts will be forced to either repay the balance or negotiate a release from the debt with the creditor. In the former case, business owners can consult debt relief services like National Debt Relief to make their debts more manageable with a lower interest rate. In conclusion, small businesses face many financial obstacles when starting up, and owners must be prepared to handle them as they arise. While smaller businesses cannot afford to make significant money mistakes, owners that can budget effectively and cut extraneous costs can overcome these monetary limitations. With a long-term mindset and an ever-vigilant watch on company spending, small business owners can keep their companies out of red and provide their businesses with a path to future growth and success. Dave Landry Jr. is a debt relief counselor and personal finance adviser who has recently turned to blogging to further share his knowledge. He hopes you enjoy this article.